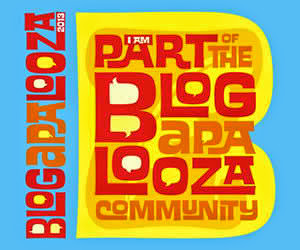 For the love of Nostalgia and the host, Rose, I am now back to blogging. Today is August 5 and this this will be my first entry for the month. Blog hiatus for a couple of days. Aaah.. paid posts went to trash and got expired too. Anyways, I hope to be back in blogging now. I hope. I just had to end Baguio series but will share again old photos and memories in my future post. 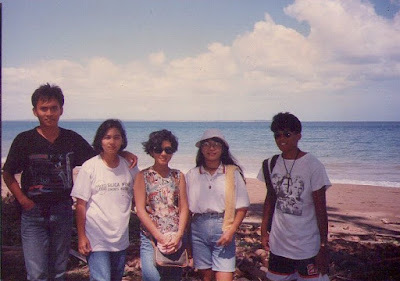 For now, I am sharing a photo taken in Quezon province many many years ago. I am not sure the exact location, I only remember Cagsiay and Mauban Quezon. The beach was very nice but it was not maintained, no resort nor facilities too. The people in the village used coconut crop as their way of living as you can see at the background. We heard also that the nearby place was a haven for bandits but it didn't stop us to visit the island. We all believe it was only a rumor but we're lucky still, we could have been in the news being captured by bandits. Anyways, I'm the one in the middle. Look at my hair, so fashionable. I love it. so 80s. lol. i sometimes cringe when i see my old photos--the 80's fashion and hairdo. :p but there's always a nice memory to go with each photo. I love the hair style sis, bonggang bongga lol. Love the beach view too. Nagkikita kita pa ba kayo ng friends mo? hehehe sabihin ko pa nman good to be back here, nawala ka rin pala nuts hehe. ako hindi nawala pero nag haitus ako sa bloghopping. anyway, ganda ng beach nanostalgia talaga ako sa mga beach diyan sa atin. Have a blissful weekend to you and your family dear! cool na cool yung hairstyle mo dito te....galing...ehehhe!